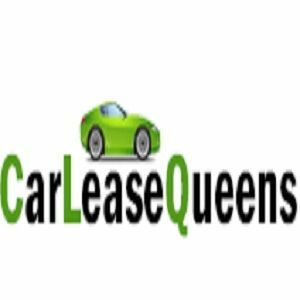 Car Lease Queens offers local car leasing services providing reasonably priced car leasing contracts for the Queens community. Check out the latest vehicles available for leasing by looking through the inventory on our website. Leasing might be for you if you like variety and prefer driving the newest vehicles as they are released. Also, as a leaseholder, you do not have to cover any maintenance fees. If you decide to buy a car, once the warranty expires, you will have to pay for any expenses in order to care for your car. Leasing a car does not entail a large deposit whereas when a client buys a vehicle with a loan does. In most instances, our customers do not need to put anything down at all. Along with paying a deposit and for interest, the car is yours until you decide to sell it or buy another vehicle. However, we are beginning to see a rising trend of clients that choose leasing over buying. If you would like more details on how auto leasing works or for more info on our car leasing company, reach out by calling (718)-412-3452. Obtaining your car lease online is less stressful than going from auto dealership to auto dealership. It is particularly convenient and easy to look through our automobile inventory to locate an auto you want to lease. Taking all day to see vehicles and talking with pushy sales agents does not seem like the ideal way to spend your day. That is just one reason conduct business with Car Lease Queens. Leasing a car in a few days is another great reason. The streamlined procedure our engineers perfected benefits our customers by letting them save time and money obtaining a car lease through our leasing services. The car lease application procedure is a forthright process if you follow the guidelines on our website. Another great reason to buy your car lease online is that you never deal with pressure from any sales agents. Feel free to search at your own pace to find a vehicle that fits into your budget and needs. If you require assistance with our website or have questions, please call to speak to any of our agents at (718)-412-3452. If you are trying to find a dependable and economical car leasing service in the Queens community, then Car Lease Queens for you. Our company has the required experience, tools, and proficiency to assist our customers in leasing an auto within their stipulations. Our auto leasing professionals carefully assess the needs of our clients. If our customers need advice about our automobiles or financing options, our experts are thoroughly ready to give them expert advice. Our corporation is here to give you the best support and will always work to be completely upfront with our customers. Car Lease Queens is run by the country’s outstanding online auto leasing company, eAutoLease.com and is completely devoted to delivering premium car leasing deals to our customers. Feel free to start filling out your car lease application when you are ready. For additional information on our car leasing service, go ahead and call us today. Reach out to us at (718)-412-3452 during regular business hours.